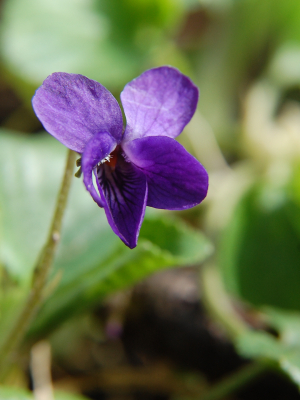 Observation - Sweet Violet - UK and Ireland. Description: Sweetly scented, smelling of Parma Violet sweets. Blunt sepals. A few plants starting to appear. This and a few others on a sunny, sheltered, south facing banking on the edge of woodland. Sweetly scented, smelling of Parma Violet sweets. Blunt sepals. A few plants starting to appear. This and a few others on a sunny, sheltered, south facing banking on the edge of woodland.